Throughout the past year, our organization has been very mindful of the numerous talented and driven individuals clamoring to showcase their impressive talents and innovative ideas. Some of these people have been tapped to contribute to our Newsletter Team. Moving forward, the Newsletter Team’s primary goal is to provide a refreshed resource “From the desk” of our Executive and Regional Leaders, for members and friends of NaFFAA. In the subsequent issues, you will see further updates, geared to streamlining the communication lines between our leadership and our supporters. We will also provide an opportunity for our readers to contribute to our amazing national programs. 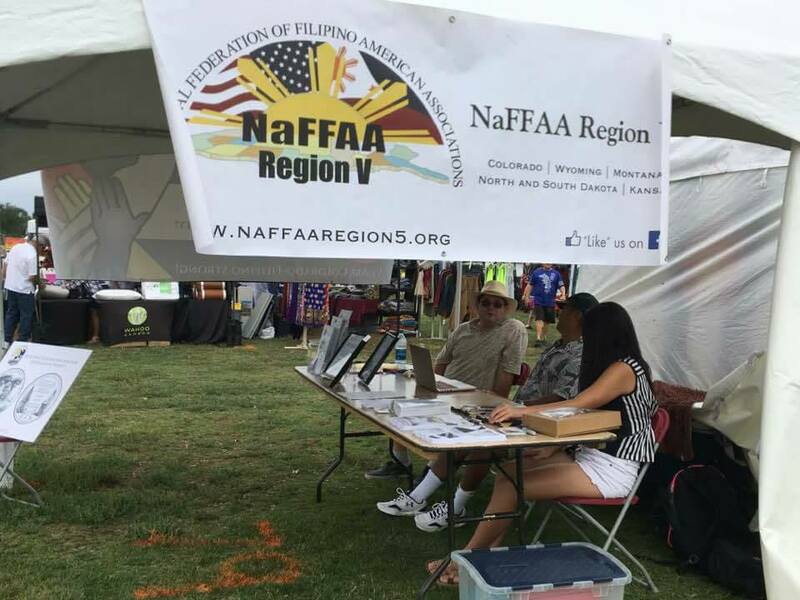 This October, several events are being planned from October 19-21 to celebrate NaFFAA’s 20th anniversary, which coincides with the national observance of Filipino American History Month. 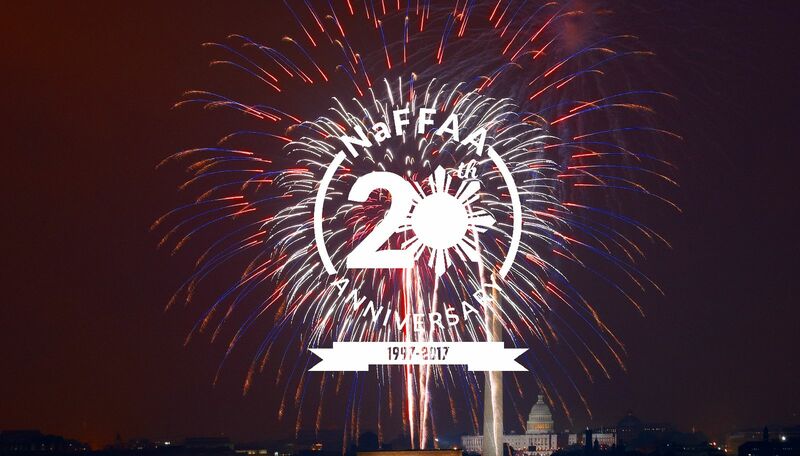 They will culminate with NaFFAA’s 20th Anniversary Gala, to be held at the Marriott Wardman Park Hotel in Washington, DC on Saturday, October 21 from 5:00-10:00pm. With its theme “NaFFAA 2.0: One Voice, Four Million Strong,” NaFFAA will recognize the legacy and accomplishments of the organization over the past 20 years, and highlight its comprehensive vision to unite and amplify the voices of the four million Filipinos living in the United States. 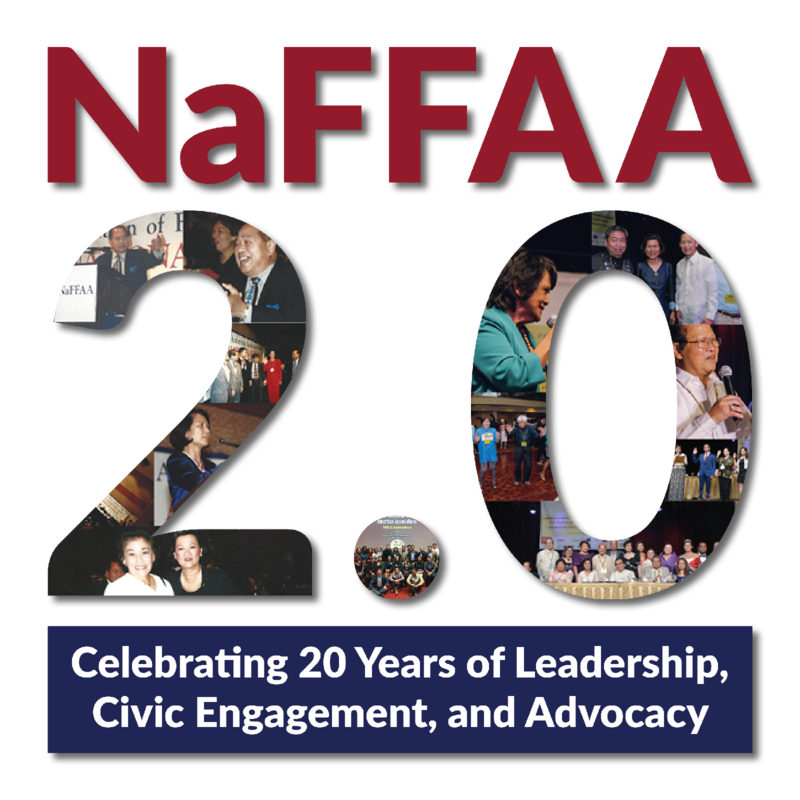 “NaFFAA 2.0” represents how NaFFAA is honoring its past while forging a new forward-thinking and balanced approach in uniting, engaging, and empowering diverse Filipino American individuals and community organizations through leadership development, civic engagement, and advocacy. Individuals tickets are $150, and community tables for 10 people are $1250. More details about the program will be shared in the coming weeks. For more information or to purchase tickets, please visit www.naffaa.org. This past July 4, many Americans donned their red, white, and blue attire, fired up the barbecues, and sat in awe of the mesmerizing fireworks—all to celebrate American independence. 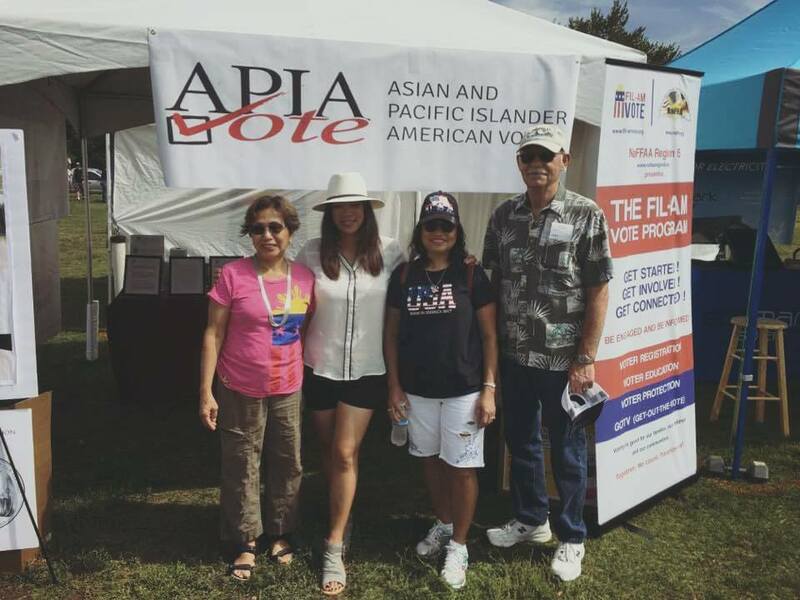 But to Filipino Americans, July 4 is just as much a celebration of freedom and independence. It was on July 4, 1946 that the Philippines declared independence from the United States via the Treaty of Manila. After a hard fought independence from Spain in 1898 and signing of the 1946 Treaty, the Philippines was free to govern itself, establish its own relationships with other nations, and elect its own leadership. However, while the Philippines was finally able to call itself an independent nation, its relationship with America had remained strong. The U.S. military and the Philippine guerillas and others forged a partnership of mutual respect and admiration that still remains to this day. Brave patriots from both nations sacrificed their lives to prevent global tyranny and to ensure a freer world. I truly hope that in years to come, continue to remember. As a result, Filipinos and Filipino Americans also celebrate July 4 as Philippine-American Friendship Day. Despite a complicated history, both nations have been stalwart allies and partners in the fight for good. 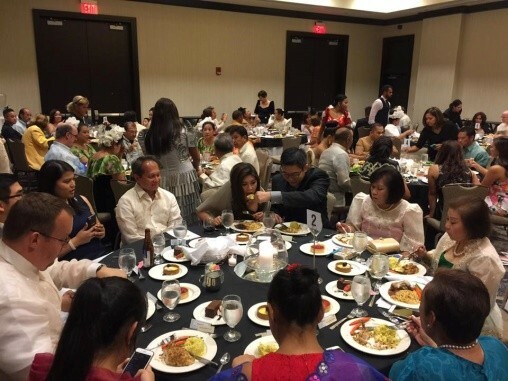 Philippine-American Friendship Day is an annual reminder of the rich shared culture, traditions, and respect that has been passed down to generations in both nations. 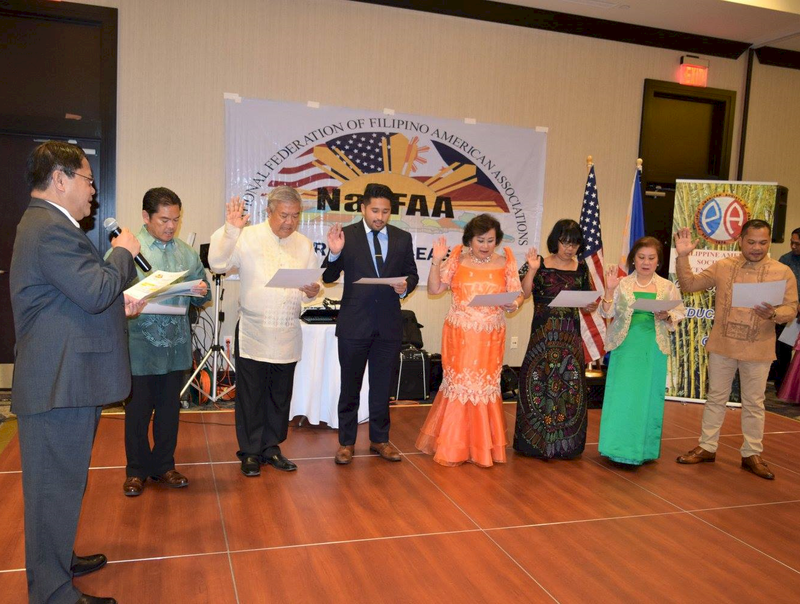 My hope is to continue to lead NaFFAA with the spirit of Filipino American partnership in mind, with the overarching goal of preserving our rich culture and tradition and advocating for the best interest of Filipinos who now call America home. Among my travels in July, Jason and I had the opportunity to speak at UniPro’s conference in New York. 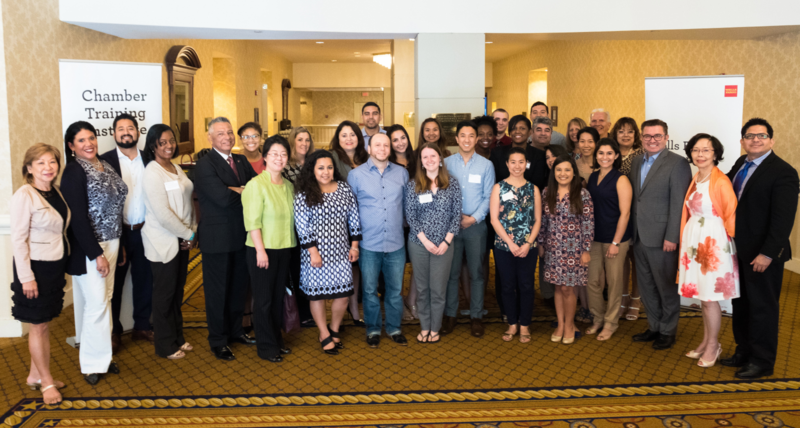 As a NaFFAA member, my goal was to connect the themes of their annual meeting to our programs and initiatives. I had great conversations with their new leaders and some of the numerous millennials in attendance. 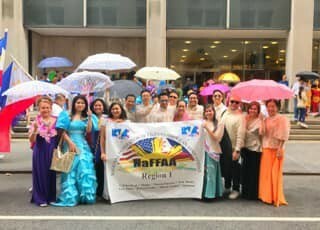 While in New York, I had the pleasure of not only attending the Philippine Independence Day Parade, but I also joined Tita Aida Rivera and Region 1 in the parade. 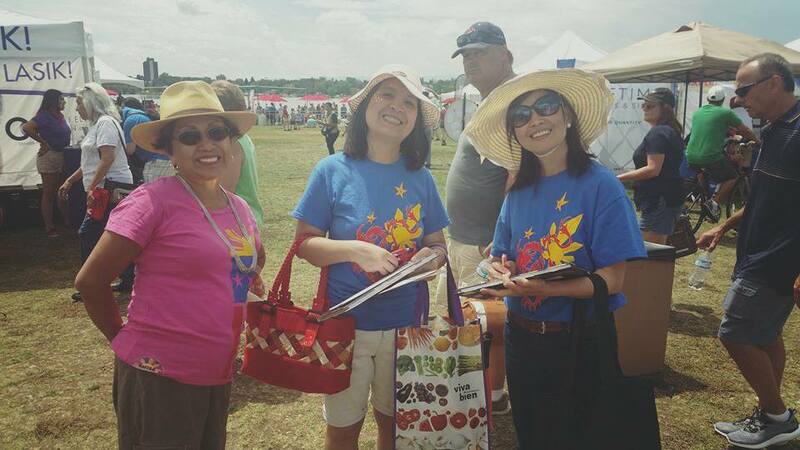 I was in awe as we traveled past thousands of Filipino Americans celebrating together. 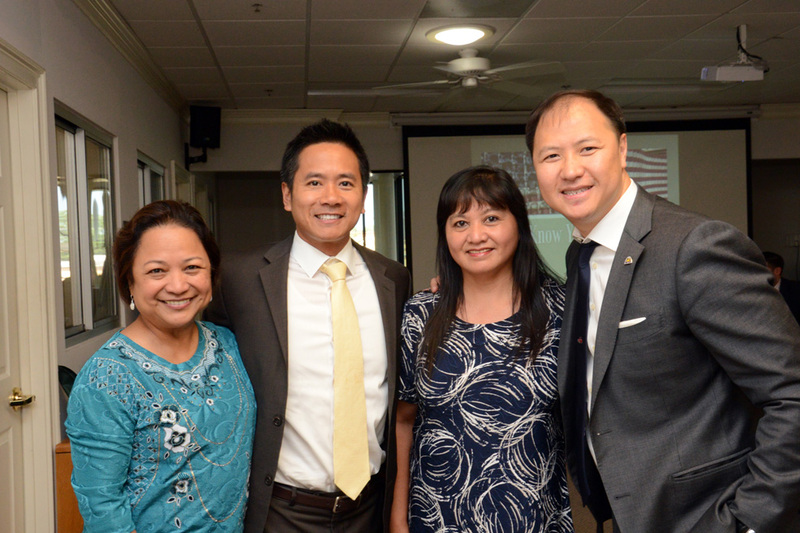 In Florida, Viva Tarroza-Taft, Bob Bontilao, and Mae Thompson have been steadily building out my home Region 4. In just a few months under Viva’s leadership, I have seen membership grow at a steady rate. In Ohio, Jason and I attended Region 3 East’s conference. I was not surprised that it was well attended, and they had a great lineup of speakers. The delegates all spoke of great takeaways, and the day culminated in a fun-filled gala dinner. 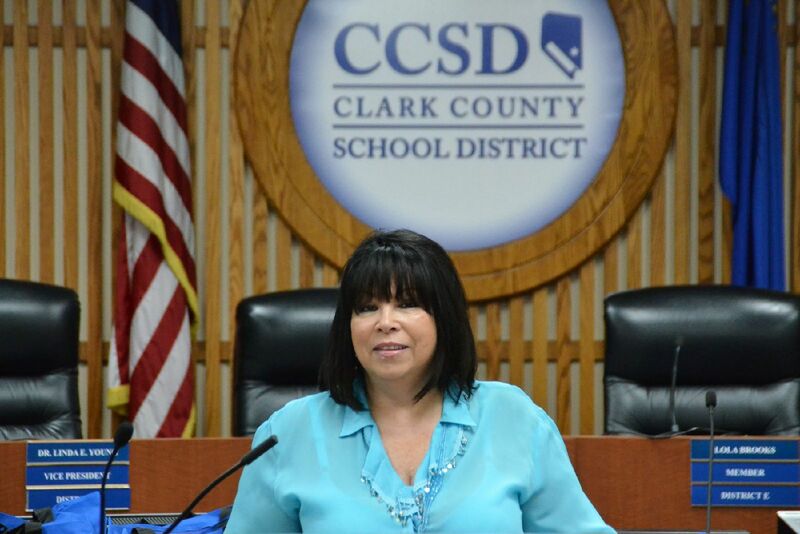 In Nevada, local leaders Bernie Benito and Loni Andal did such a great job in coordinating a welcome event for 82 newly hired special education teachers in the Clark County School District. 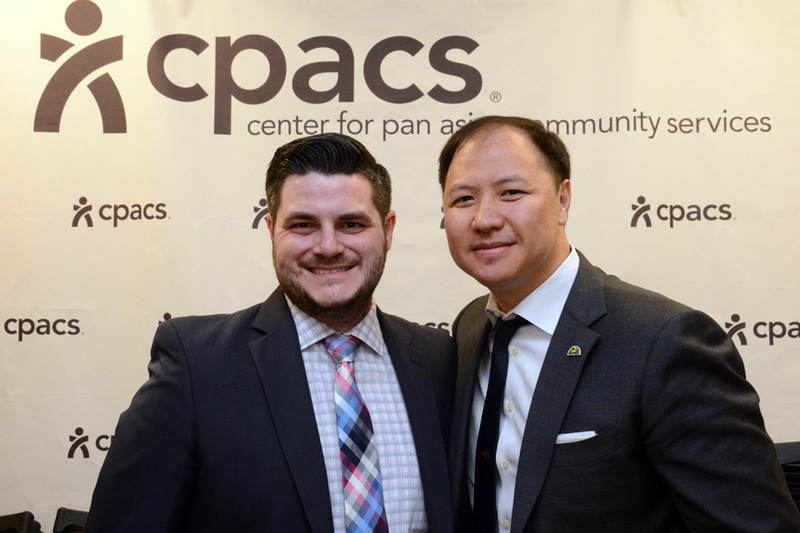 This is why you are cordially invited to our upcoming 20th anniversary events that honor a twenty-year legacy of leadership, civic engagement, and advocacy. Mark your calendars for the weekend of October 21 for a fun-filled, nostalgia-packed weekend we will remember for years to come.If you have any questions, please feel free to reach out to any member of the Board of Governors or email 20thanniversary@naffaa.org with your inquiries. I hope you have a great rest of your summer! Manila, Philippines – NaFFAA Executive Director Jason Tengco had a short, yet productive week in the Philippines in July. 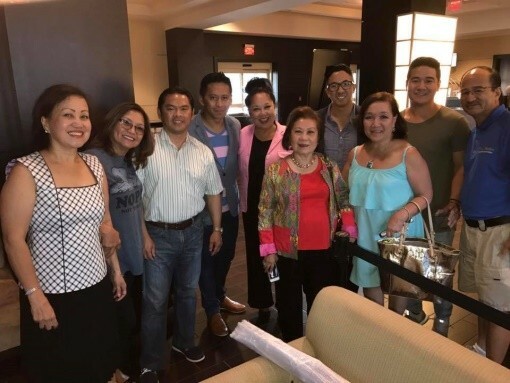 The purpose of Jason’s trip was to reconnect with leaders from the homeland, strengthen relationships with NaFFAA partners, and to help bridge the “Filipino vs. FilAm” gap. Jason reconnected with General Delfin Lorenzana, Defense Secretary; Jose Cuisia, former Philippine Ambassador to the U.S.; and Dexter Ligot-Gordon, former NaFFAA National Youth Chair. 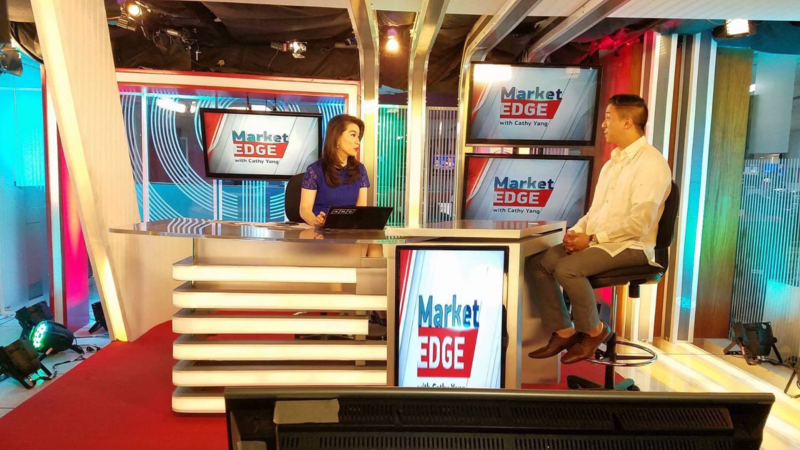 Furthermore, Jason had the opportunity to interview with Cathy Yang, the anchor of ABS-CBN News Channel’s Market Edge, where he discussed immigration and health care in the United States, as well as Filipino American perspectives on the Duterte Administration. 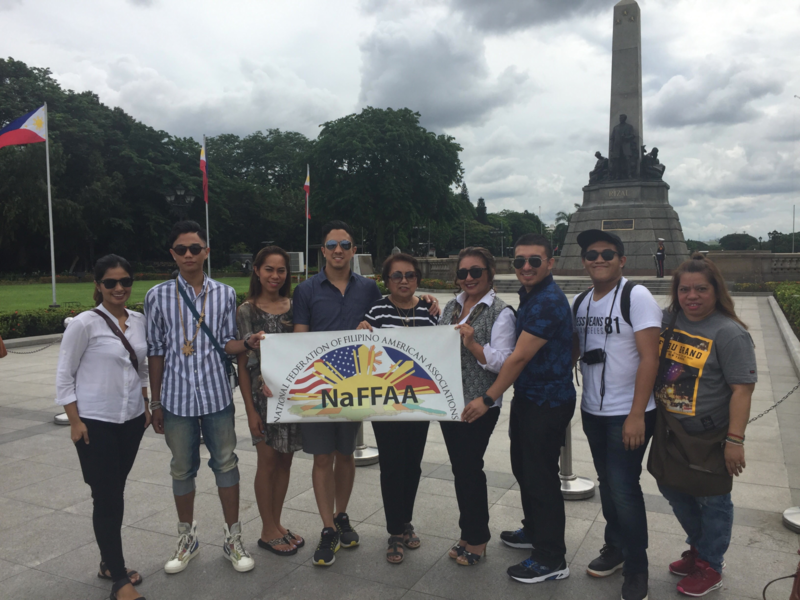 Finally, Jason was joined by NaFFAA leaders Myrna Reyes, Marilyn Doromal, Fresas Balistreri, Andrew Esmele, and Lakhi Siap who filmed a “NaFFAA 2.0” video throughout Manila, including at Rizal Park, Intramuros, and Manila Bay. The video was generously supported by Tony Olaes and The Filipino School, and will be shown during NaFFAA’s 20th Anniversary Gala. 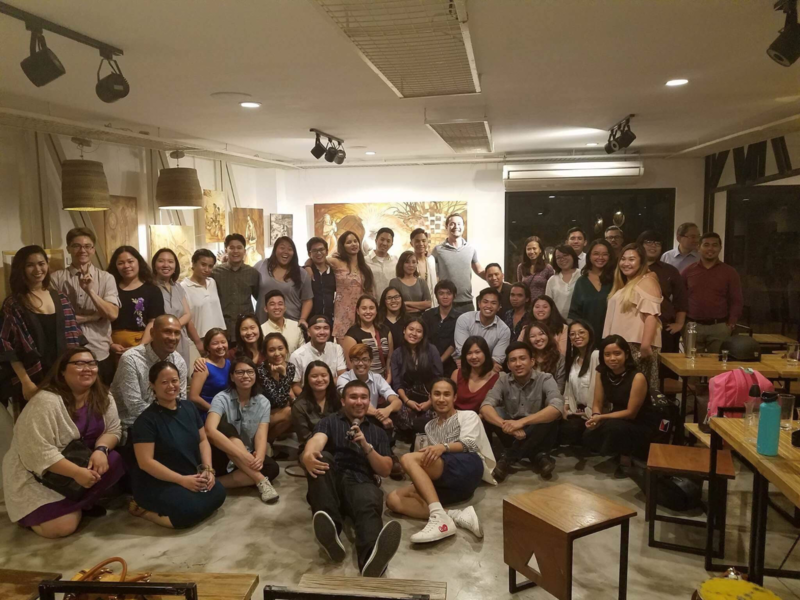 Jason closed out his trip to the Philippines with a Young Leaders Networking Mixer, where he spoke on a panel about bridging the Filipino and FilAm gap with representatives from the Filipino American Young Leaders Program (FYLPRO), Filipino Intercollegiate Networking Dialogue (FIND), Kaya Collaborative, Tripkada, and Bambike. Jason looks forward to working with NaFFAA leaders of all generations to tell stories about our diverse history and culture. 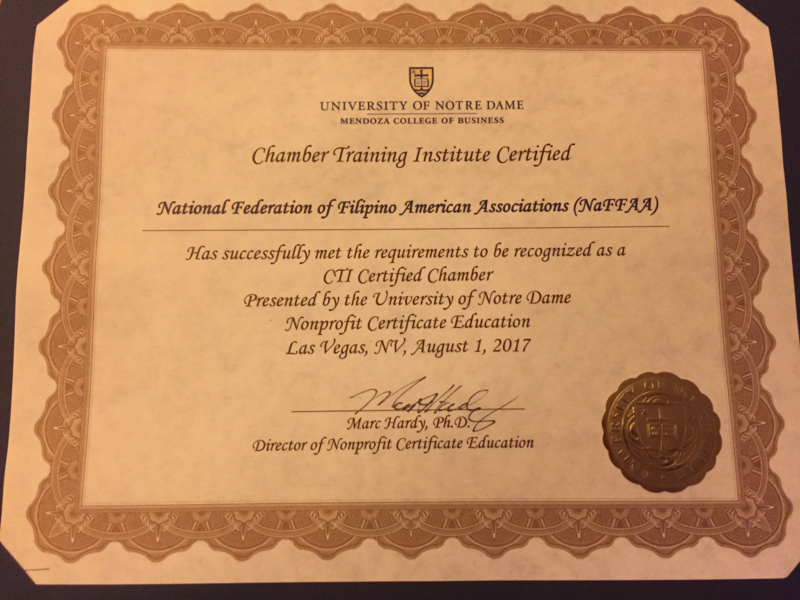 Washington, D.C. – After attending three Chamber Training Institutes (CTIs) sponsored by Wells Fargo, NaFFAA was recognized as a CTI Certified Organization by the University of Notre Dame! 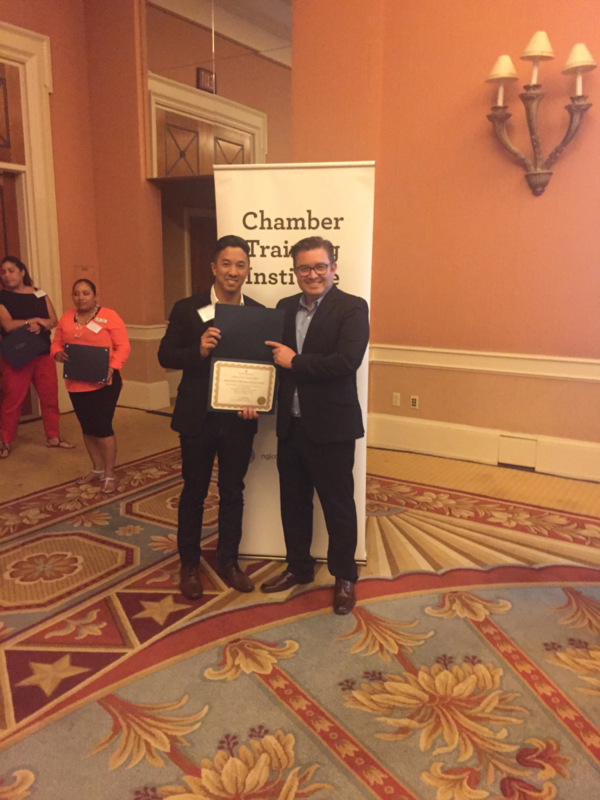 NaFFAA Executive Director Jason Tengco attended trainings on Strategic Planning in San Jose, CA in February; Fundraising and Development in Washington, DC in June; and Program Evaluation in Las Vegas, NV in July. The two-day trainings have been beneficial in helping NaFFAA enhance its short-term and long-term planning and fundraising strategies for its programs focused on leadership development, civic engagement, and advocacy. Coming soon, we will feature our major contributors to our 20th Anniversary celebrations! 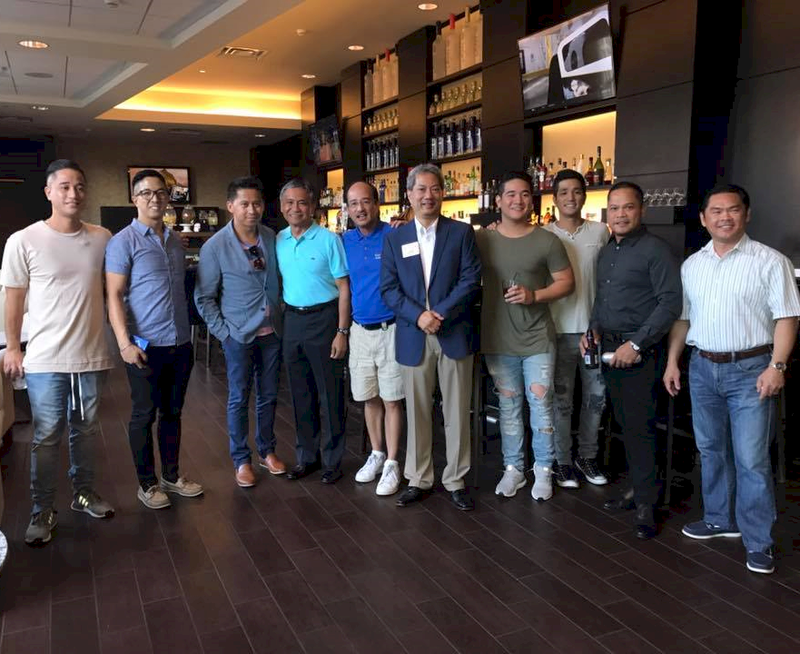 West Chester, PA – NaFFAA Pennsylvania hosted the National Chairman, Brendan Flores and Executive Director, Jason Tengco in an informal Meet and Greet in Philadelphia. The late afternoon heavy downpour did not hinder the coming together of a group, young and old, to come and learn more about what NaFFAA has to offer. 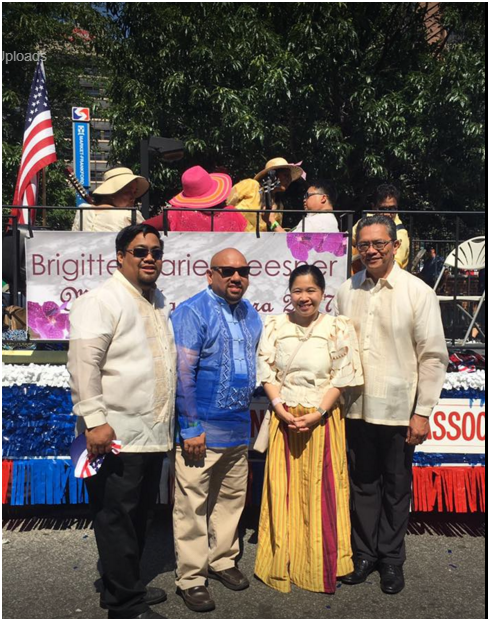 Philadelphia, PA – Every year the Philippines is represented in the Welcome America, 4th of July Parade in Philadelphia, the Birth place of America. 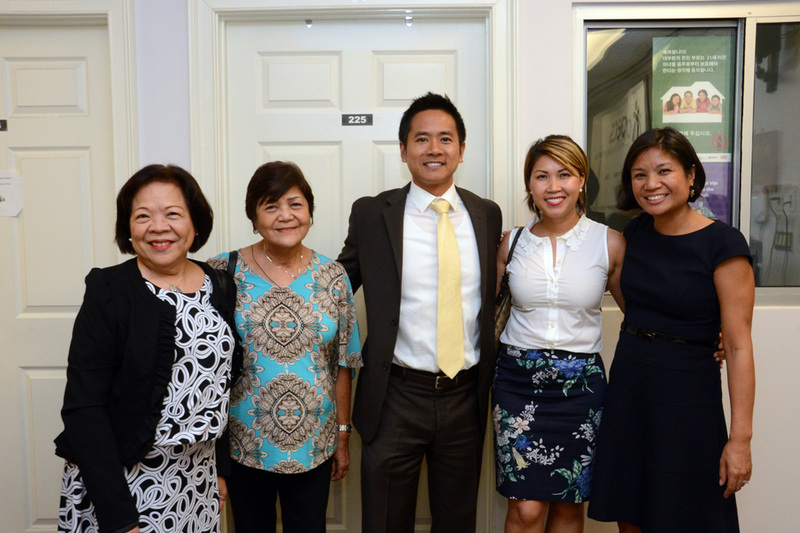 Joined this year by the Consul General of the Philippine Consulate General of New York, Ambassador Tess Dizon de Vega. 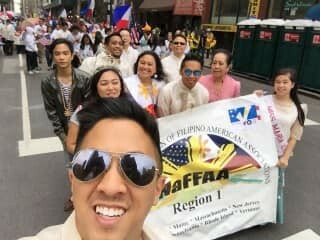 New York City, NY – NaFFAA parades down Madison Ave with National Chair Brendan Flores and Executive Director Jason Tengco at the Philippine Independence Day Parade in New York, dubbed the biggest Independence Day Parade outside of Manila. Columbus, OH – The NaFFAA Region 3 East (R3E) Empowerment Conference, which was held July 28-30, 2017 at the Hilton Polaris Hotel in Columbus, Ohio, began with organizers hosting a Friday Meet & Greet to allow speakers and delegates to warm up to each other in preparation for the plenary, panel, and session talks scheduled for Saturday. Over 50 speakers and delegates from Iowa, Indiana, Kentucky, Michigan, and Ohio attended the gathering. 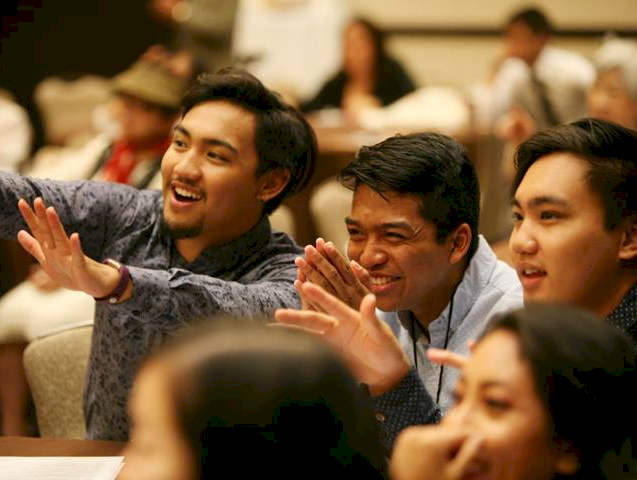 The Empowerment Conference, “Redefining the Future: Leadership – Mentorship – Partnership,” which convened early on Saturday, provided an opportunity for the 96 registered delegates to develop strategies to address the many concerns within the Filipino American community. Delegates participated in multiple workshops throughout the day that highlighted best practices in community leadership. The goals of the workshops were to engage the community to achieve heightened awareness on issues, to involve the youth through culture and education, and to reach out to other organizations for support in building a stronger community. The conference included presentations focused on immigration reform, health care and aging, voter participation, business development, and youth inclusion, to name a few. Community leaders and guests from the five NaFFAA R3E member states and from other states, and students from the Ohio State University Pilipino Students Association (OSU PSA) attended this highly-anticipated and sold-out event. Many of the younger attendees are up-and-coming leaders, who will be taking NaFFAA R3E into the future. Among the plenary speakers was Major General Antonio Taguba, who presented a talk on the Filipino Veterans Recognition and Education Project (FilVetREP) efforts to award the Congressional Gold Medal to surviving veterans or their next-of-kin. 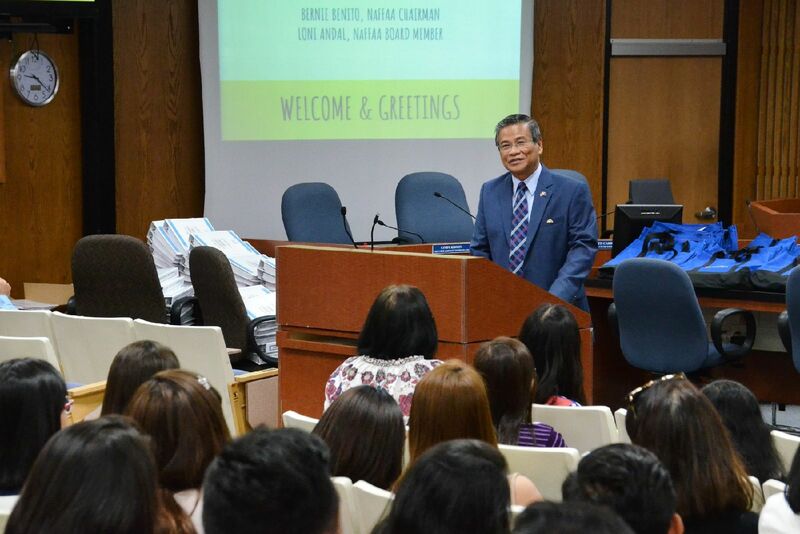 He also encouraged delegates to begin thinking about serving as caregivers to their elderly parents during his presentation on the AARP Dahail Mahal Kita Caregiving Program. The Saturday evening Gala capped off the 2017 NaFFAA R3E Empowerment Conference. With 161 guests signing up to attend the highly-publicized event, the Gala sold out going into the last week before the event. After dinner, Philippine Consul General Generoso D.G. 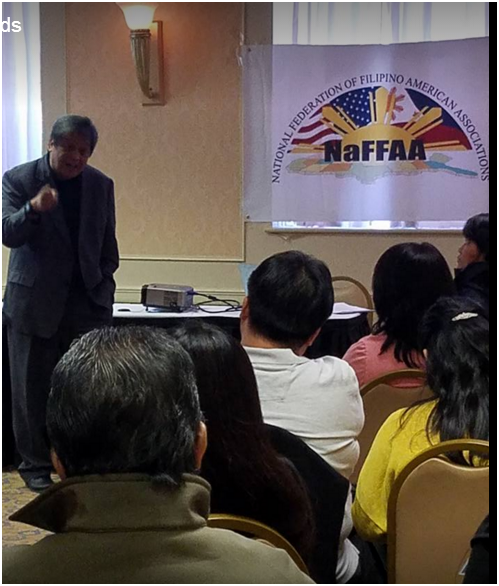 Calonge spoke about the need for Filipinos to unify and rally behind the same goals that NaFFAA is striving to achieve. He also inducted the incoming NaFFAA R3E and State Officers that are tasked with taking the region to greater heights in 2017-2020. The newly-elected NaFFAA R3E Officers are: Armin M. Sayson, Chair; Willie Dechavez, Vice Chair; Beth Piocos, Secretary; Brenda Sanagustin, Treasurer; Ryan Tejero, Executive Director; and Ron Ilagan, Youth Chair. The newly-elected NaFFAA State Chairs are: Tina Wenger, Indiana; Roel Campos, Iowa; Vicky Villareal, Kentucky, Fe San Agustin, Michigan; and Zan Saavedra, Ohio. 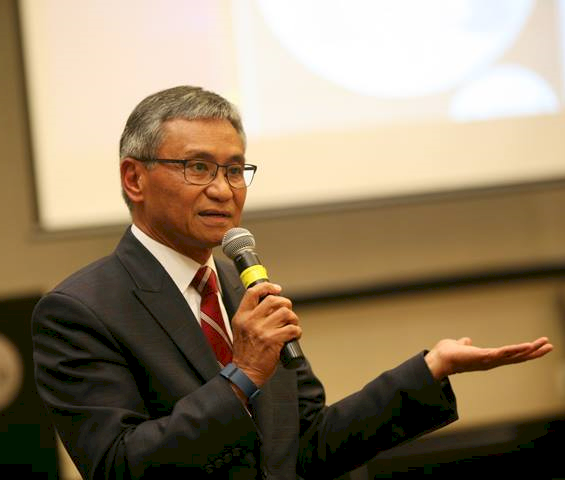 Major General Taguba presented the keynote address and encouraged guests to support the FilVetREP efforts to recognize veterans that served in the Philippines during WW II and to award them with the Congressional Gold Medal. 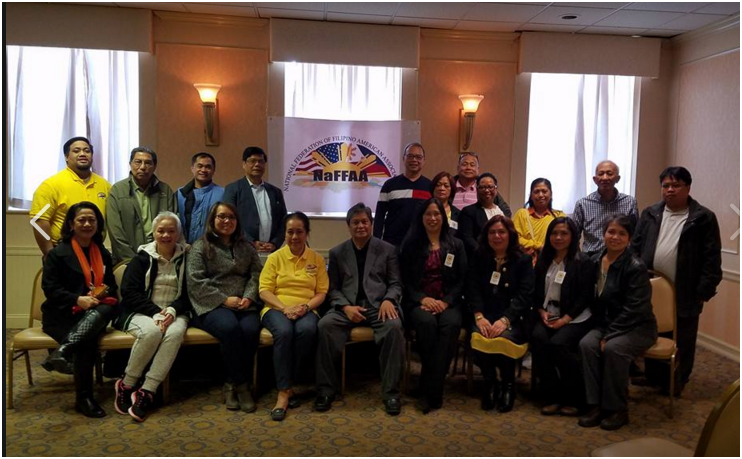 Chicago, Il – NaFFAA Illinois was one of the co-sponsors of the Humanitarian Mission coordinated by Jelly Carandang. We provided free medical, dental, and optical services with medicines and supplies to three towns in Batangas. 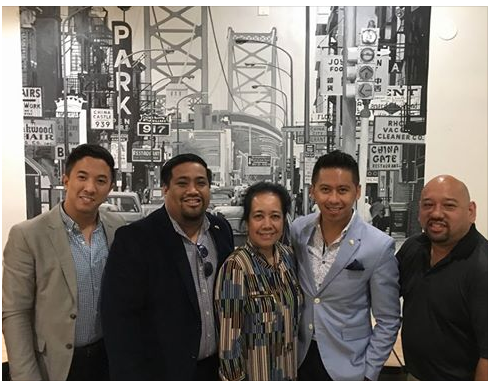 In April, Abbey Eusebio attended the Bataan Day Celebration at the Philippine Consulate General in Chicago and recognized the attending veterans with a certificate of appreciation from us. In May, she presided a reunion with some members of Circle of Empowered Women, discussing how NaFFAA Illinois was able to help some victims, and how we reached out to other victims domestic abuse and violence, human trafficking, mail order brides and all forms of discrimination. Together with young friends, Jelly also represented our community at the Skokie Festival of Cultures during the Parade of Flags, while their parents manned the FilAm booth exhibiting various informational materials about our country, various native arts and crafts, and taste of our popular dish, adobo and pancit. In June, a number of us joined the consular officers and staff with other community leaders at the flag raising at the Daley Plaza in Chicago in celebration of Philippine Independence last June 12. We also offered flowers at the Rizal Monument to commemorate our National Hero’s birthday last June 19. We then joined the officers and members of the Knights of Rizal at a simple reception that followed. 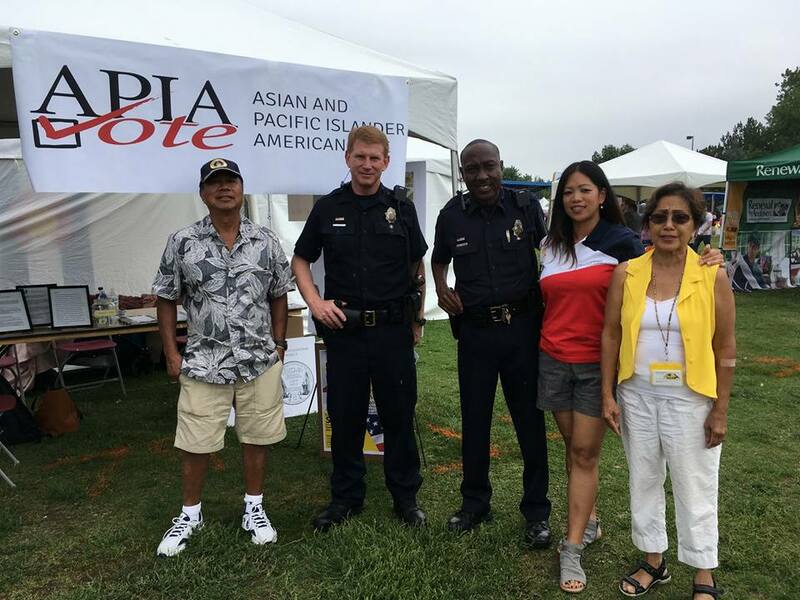 In July, we participated at the Skokie July 4th Parade, also celebrating Philippine American Friendship Day. Jerry Clarito and Jelly represented the Filipino American community at the hearing held at Skokie Village Hall on whether to opt in or out of the minimum wage increase passed by the county. Attendees overwhelmingly voted to opt in. 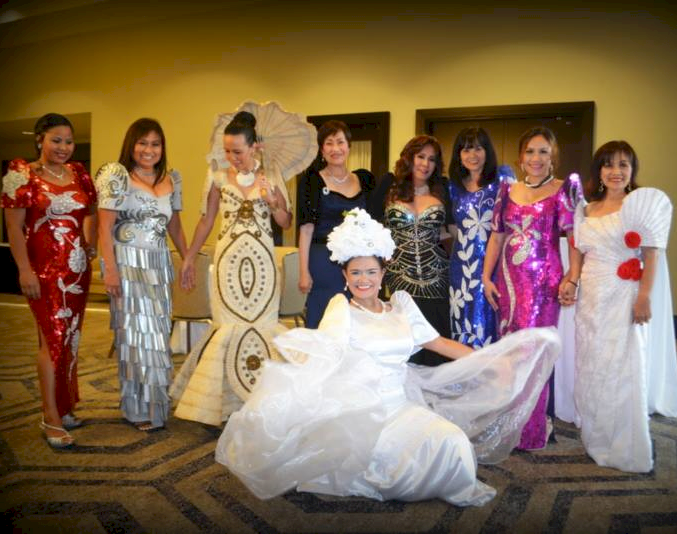 In Missouri, Anecita spearheaded the annual Santacruzan in an effort to promote our rich culture and traditions. She also continued reaching out to FilAms in the area to encourage them to actively participate in community events. 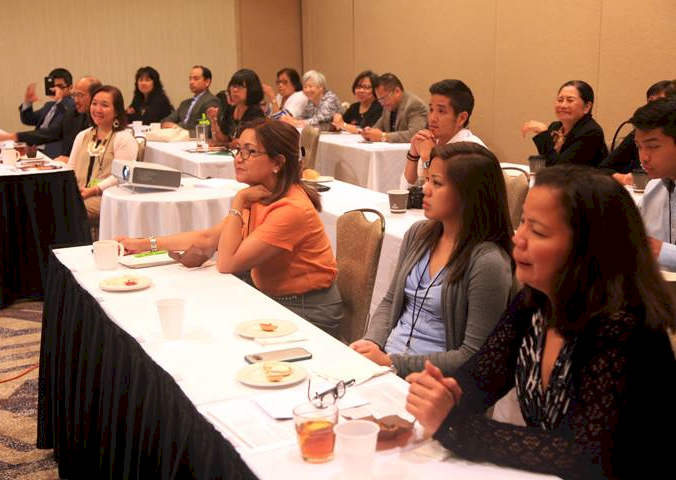 In lieu of a regional conference, we plan to have a regional celebration of the Filipino American History Month. In Minnesota, Meg and David Pederson continue working with other organizations to ensure the safety of everyone, mindful of incidents involving allegations of police brutality. In Nebraska, Daryl Rose donated used computers to some schools in the Philippines. They hosted the consular outreach held in their area to reach out to FilAms there, by sharing information that are beneficial to them. 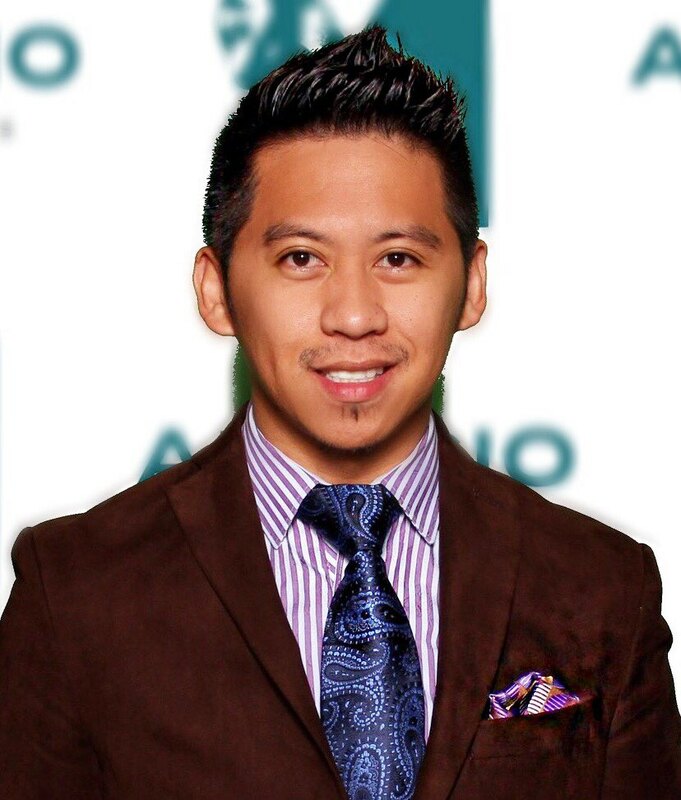 Abbey Eusebio is planning a “Know Your Rights” Forum in collaboration with the Filipino American Lawyers Association of Chicago to educate the community of changes in immigration policy. Our member states also plan to do a fundraising for FilVet REP. Applications have been received for the Congressional Gold Medal from living veterans or surviving children, while continuing to reach out to other veterans in the area to share most current information with them. 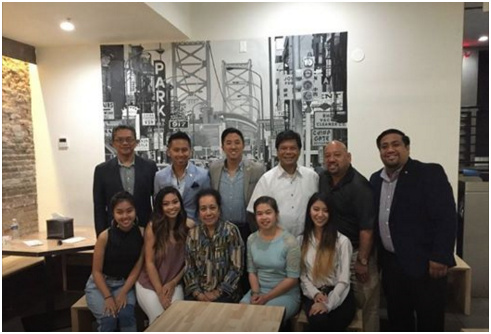 Atlanta, GA – In partnership with the Center for Pan Asian Community Services (CPACS and the Asian Americans Advancing Justice – Atlanta (AAAJ), NaFFAA launched its inaugural “Know Your Rights – Filipino American Immigration Forum” on July 25, 2017 in Atlanta, Georgia. 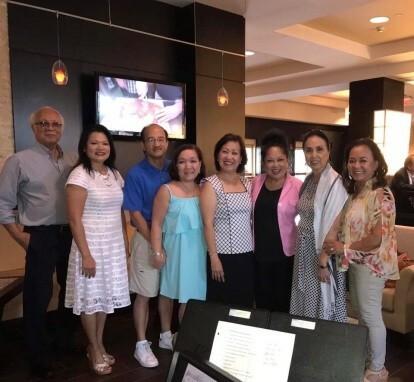 The Forum was well attended by the Filipino Americans from the Greater Atlanta area, as well as immigrant advocacy groups, and immigrant residents from other nations. Led by Bryan Ramos, an Atlanta lawyer and NaFFAA Director of Human Capital, the Forum included Georgia State legislators, Samuel Park and Brenda Lopez; a representative from the United States Census Bureau, Luke Nguyen; NaFFAA’s Executive Director, Jason Tengco; the President Elect of the Georgia Asian Pacific American Bar Association (GAPABA), Cherish Dela Cruz; former program director at the AAAJ – Atlanta, Raymond Partolan; and local attorney, Michael Urbina. 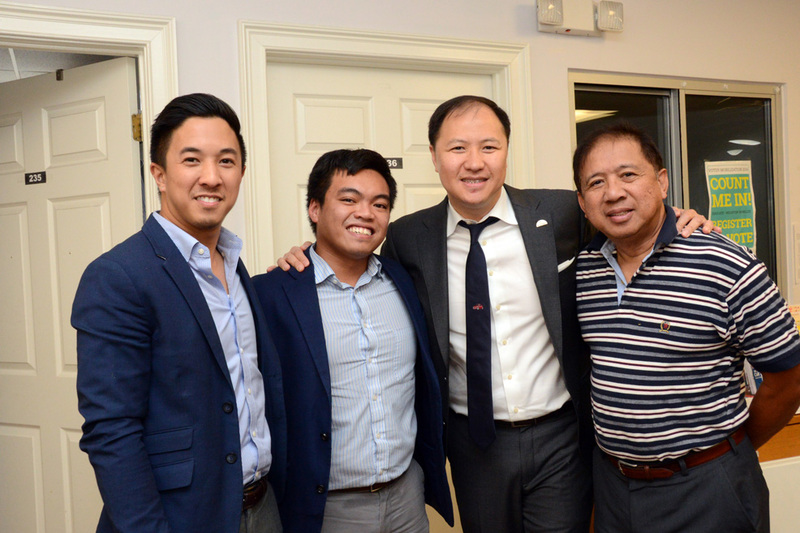 Bryan Ramos stated that “the event was very well received by the Filipino community in Atlanta and repeat sessions are already being requested.” The Forum covered the basic Constitutional Rights afforded every resident of the United States; the US naturalization and citizenship process; the parole program involving the World War II Filipino Veterans; and gathered data regarding pressing immigration issues affecting the Atlanta Filipino community. NaFFAA plans to replicate and build upon this program for other cities around the United States. 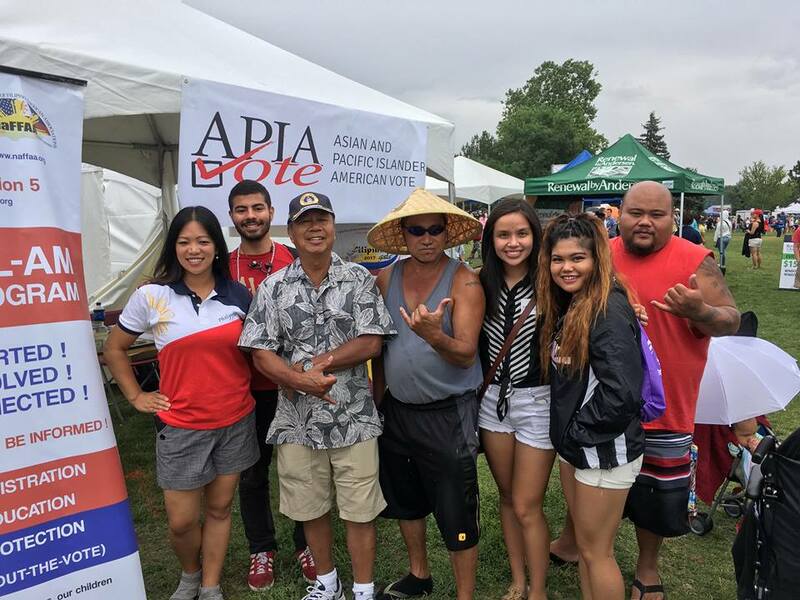 Denver, Colorado – During the recent Colorado Dragon Boat Festival, NaFFAA Region 5 represented Filipinos at the APIA Vote booth. 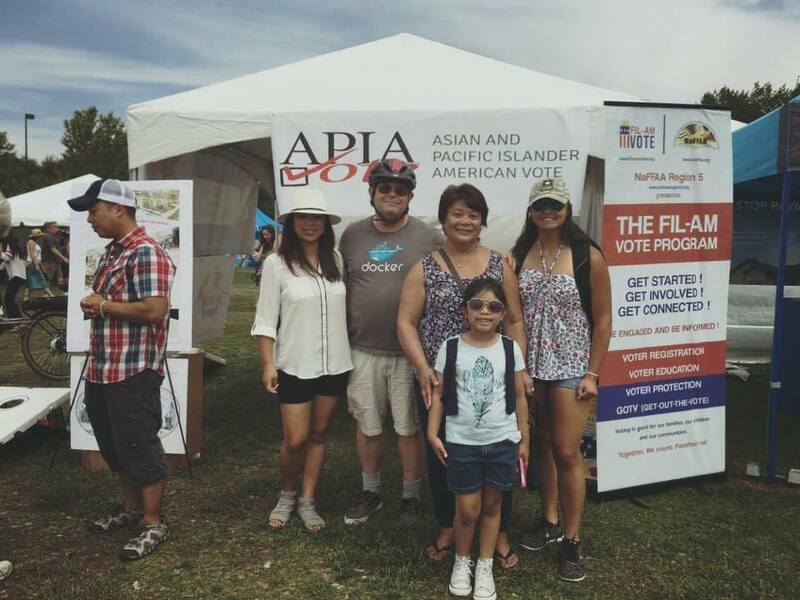 Petitioning for voter registration, volunteers were surprised to hear that the majority of attendees of the Festival were already registered voters. Over 100 people signed Pledge to Vote cards. In attendance were NaFFAA Trustee Giselle Rushford and NaFFAA Region 5 Board Member Olive Joy Bell. San Francisco, CA – The San Francisco Chapter of NaFFAA’s Region 8 is proud to co-sponsor the film screening of VALOR at The World Independent Film Festival (TWIFF) to be held in San Francisco on Sunday September 24, 2017. Valor is a Filipino WWII biopic documentary of Col. Emmanuel V. De Ocampo, a Guerilla leader during the war and a fighter for veterans after. Based on personal interviews, dramatic reenactments and real WWII footage, TWIFF brings the story of a hero to life . A good film to watch for the entire family and great for students/adults to learn more about the courage and the perseverance of the Veterans during WWII. 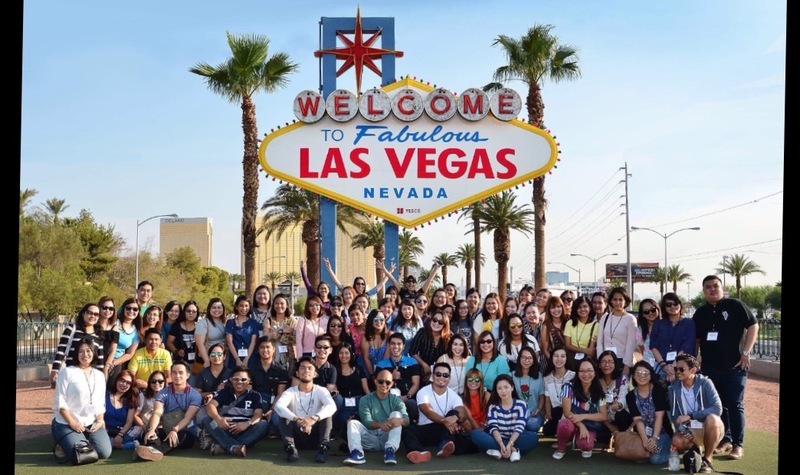 Las Vegas, NV – NaFFAA Nevada Board Members Bernie Benito (State Chair) and Loni Andal spearheaded welcome events and a meet and greet for 82 special education teachers recently recruited from the Philippines by officials of the Clark County School District. Events included an orientation were Bernie and Loni were guest speakers, as well as a Meet and Greet event later in the week, attended by district officials and local civic and government officials. If you would like to contribute to the NaFFAA Newsletter 2.0, please email newsletter@naffaa.org by the 20th of each month. Thank you, and we look forward to hearing from you! 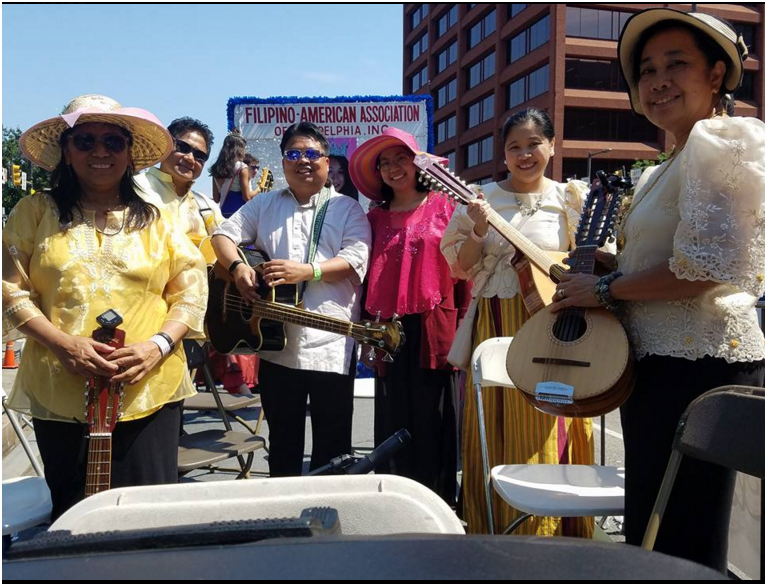 Copyright © 2017 National Federation of Filipino American Associations. All rights reserved.